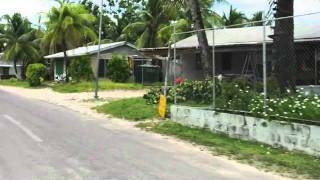 S -8° 31' 27" and E 179° 11' 39"
The district Vaiaku Village of Funafuti in Funafuti with it's 516 habitants Vaiaku Village is a district located in Tuvalu about 11,845 mi east of , the country's capital town. Since you are here already, you might want to pay a visit to some of the following locations: Savave Village, Asau Village, Tanrake Village, Kulia Village and Toga Village. To further explore this place, just scroll down and browse the available info. Let's start with some photos from the area. flight approaching to the Tuval, Funafuti Int'l airport. 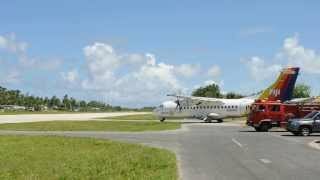 ATR42 taxiing over the road, past the fire engine and parked cars, and out onto the runway at Funafuti International Airport, Tuvalu. Musicas de ACDC e Journey tocadas pela banda ROCKERIA de São Paulo na USP em festa do Instituto de Física. 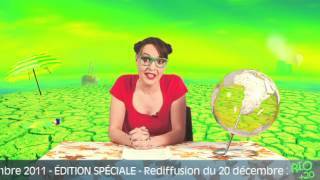 Bridget Kyoto prédit les résultats du sommet de Rio. Located at -8.52366, 179.195 (Lat. / Lng. ), about 0 miles away. 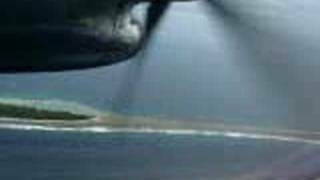 Tepuka is an island eighteen kilometers west of Fongafale, in the northwest of Funafuti, the main atoll of the Oceanian nation of Tuvalu. There is a well-preserved underground bunker on the island.. The island lies between the smaller islet of Tepuka Vili Vili in the southwest, the smaller islet of Te Afualiku in the northeast, the Pacific Ocean on the west and the Funafuti lagoon called Te Namo on the east. In recent years the island has suffered from major erosion. Located at -8.4627, 179.08 (Lat. / Lng. ), about 9 miles away. Located at -8.52389, 179.199 (Lat. / Lng. ), about 0 miles away. Falaoigo is an island of Funafuti, Tuvalu. Located at -8.6251, 179.079 (Lat. / Lng. ), about 11 miles away. Located at -8.55, 179.183 (Lat. / Lng. ), about 2 miles away. Funafala is an inhabited isle of Funafuti, Tuvalu. Located at -8.6281, 179.102 (Lat. / Lng. ), about 10 miles away. 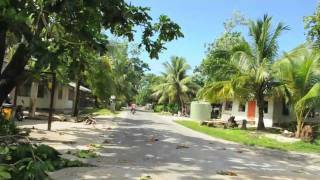 Fuafatu is an islet of Funafuti, Tuvalu, 5.5 miles north of Tefala. Fuafatu is part of the Funafuti Conservation Area, established in 1996 with the aim of preserving the natural fauna and flora of the area. Located at -8.51667, 179.05 (Lat. / Lng. ), about 10 miles away. 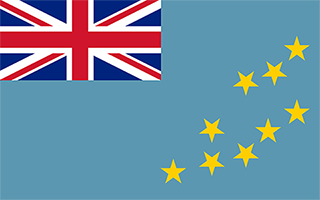 Fualefeke is an isle of Funafuti, Tuvalu. Located at -8.4274, 179.122 (Lat. / Lng. ), about 8 miles away. 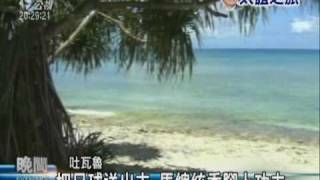 Fuagea is an isle located in the archipelago of Tuvalu in the south-western part of the atoll of Funafuti. Fuagea along with Tepuka is part of the Funafuti Conservation Area, established in 1996 with the aim of preserving the natural fauna and flora of the area. Located at -8.58333, 179.083 (Lat. / Lng. ), about 9 miles away. Fualopa is an islet of Funafuti, Tuvalu. It is part of the Funafuti Conservation Area, established in 1996 with the aim of preserving the natural fauna and flora of the area. Fualopa hosts a breeding colony of Black Noddy-Lakia. Located at -8.48333, 179.067 (Lat. / Lng. ), about 9 miles away. Luamotu is an isle of Funafuti, Tuvalu. Located at -8.6095, 179.099 (Lat. / Lng. ), about 9 miles away. Located at -8.56667, 179.15 (Lat. / Lng. ), about 4 miles away. These districts also belong to Funafuti. These are some bigger and more relevant cities in the wider vivinity of Funafuti. These are the most popular locations in Tuvalu on Tripmondo.